Now in its 5th Year, the Edinburgh Sportive which has two route lengths (72 and 102 miles) takes in some glorious Scottish scenery and some 8000ft of climbing! The events benefits from fantastic staff and volunteers, great backup and well stocked feed and water stations. All proceeds from this event go towards our work with homeless and vulnerable people in Scotland. The Challenge route at 72 miles and follows the River Tweed after Innerleithen. 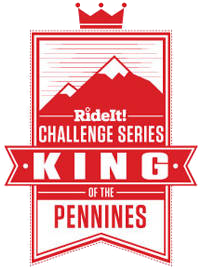 The Super Challenge route at 102 miles takes in the climb and descent of the famous Witchie Knowe.